Something Old, Something New, Something Borrowed, Something Blue …. If you are looking to buy an exquisite wedding gown at a reasonable price, The Wedding Room should be your first and last stop. 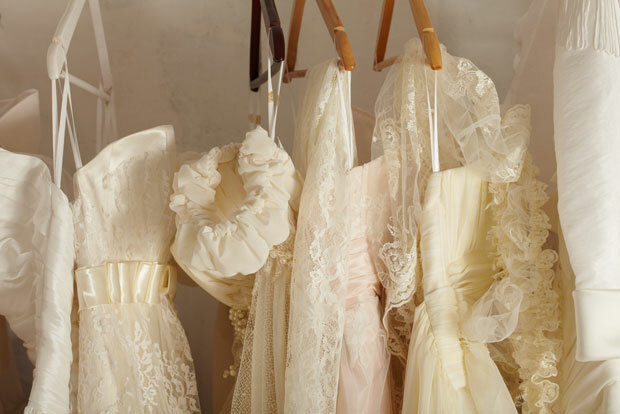 The Wedding Room in Cape Town gives many previously loved wedding dresses a new lease on life. The dresses are of course in pristine condition and of top quality, with many designer labels attached. You’ll also find beautiful shoes, veils, and a fine assortment of exquisite hand-made accessories to choose from. Brides that shop at The Wedding Room may just be the cleverest brides out there, as they enjoy the best prices with the most professional service. Each bride is treated with utmost enthusiasm. Consultations are by appointment only, on a one-on-one basis and completely free of charge. We try to help the bride with more than just the dress, so she will more than likely leave with an overload of information and helpful tips. Please note the Wedding Room has closed (2012) and is no longer open for business. See more Wedding Dresses here. Each bride is treated with utmost enthusiasm. Consultations are by appointment only, on a one-on-one basis and completely free of charge.